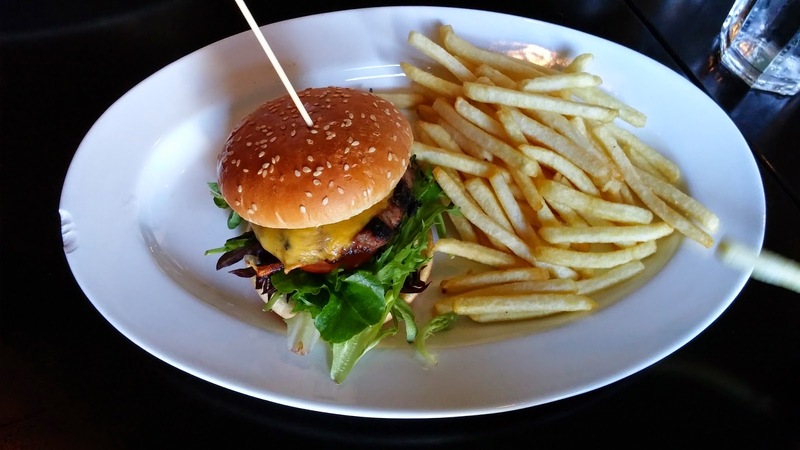 Oslo Restaurants Review: Cafe Laundromat: Best Burger in Oslo? 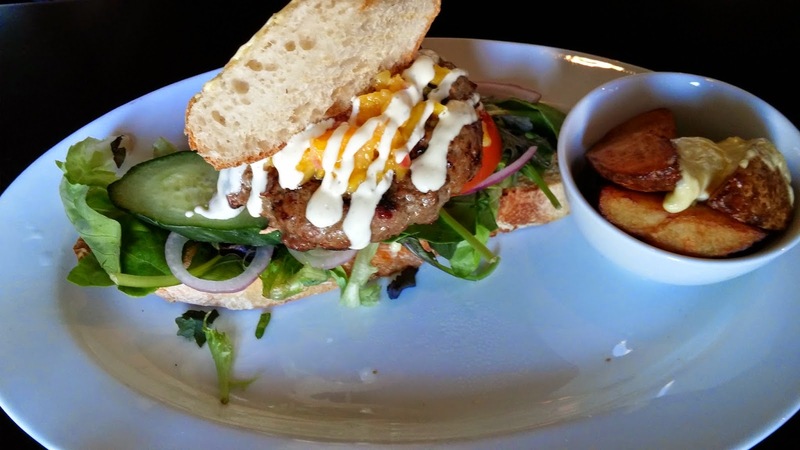 A few days ago, a friend of mine wrote on her Facebook wall that the cafe Laundromat had the best burger in Oslo (she was having the Jamaican burger). And of course, it made me want to have it! The cafe Laundromat is in Bislett, near the stadium. It was quite full even though it was quite early a week day. The quality of the patty was better than in most restaurants we have tried in Oslo. My wife found the taste to be a bit too sweet though (I am guessing some BBQ-like sauce was used when the meat was grilled). The potatoes were nothing special and a bit disappointing (the menu said they would come with a home-made ketchup but we didn't see any ketchup). I went of course for the Jamaican burger. It looked better than in the picture above, sorry I am a terrible photograph. The meat quality was the same as in the Classic Burger, not sweetened this time. 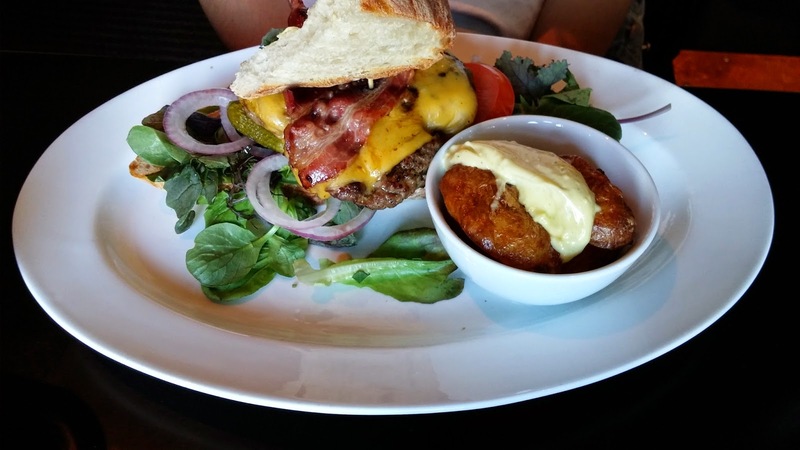 The burger was quite original as it had... mango, shrimps and garlic dressing! But altogether it worked well and this was a good burger. My son wanted a burger too and we took the kid's burger for him. It was a smaller/simpler version of the Classic burger, with the same meat quality and the same taste (a bit sweet). My son liked it. The potatoes were OK. So, is the Jamaican burger served at the Cafe Laundromat the best burger in town? Not sure, I need to try many more places before I say this but I agree that it was a very good burger.